Filipinos have varying opinions when it comes to having a foreigner for a husband or a wife. Some have a positive outlook on these kinds of relationships, with those even considering it as an achievement of sorts to be chosen by a foreigner. Others have a negative opinion because of the prevailing societal belief that either the foreigner or the Filipino is using the other for economic gain, or perhaps for purely sexual reasons. 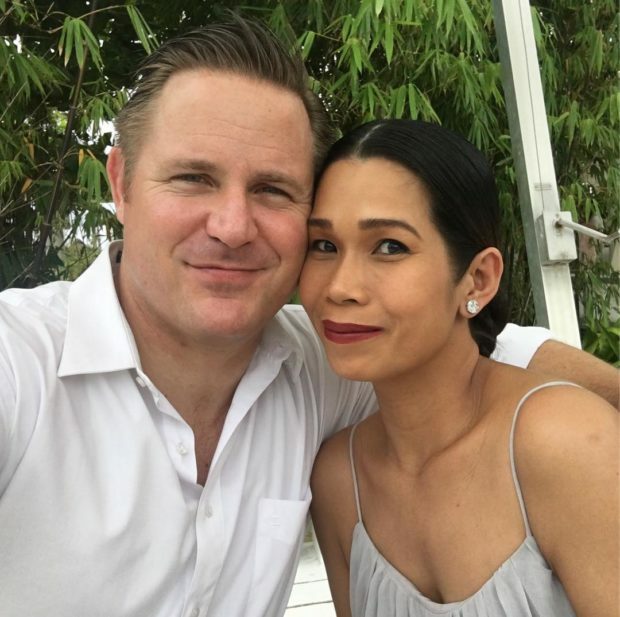 Pokwang, who has been with her American partner Lee O’Brian since 2015, addressed such negative opinions regarding their relationship in an Instagram post on Friday, June 15. Uploading an old, sweet picture of them taken at The Ruins in Negros Occidental, the comedian asserted that they are happy in their relationship and that they are thankful to those who have been against them, since this gives them a reason for their relationship to be further strengthened. Apparently, Pokwang’s post was made after a netizen left a comment regarding her relationship with O’Brian, the comment having been offensive to the comedian and posted on their daughter Malia’s Instagram page. On Thursday, June 14, a photo of Malia alongside Karla Estrada and her daughter, Carmela Ford, was posted on the infant’s official Instagram account.